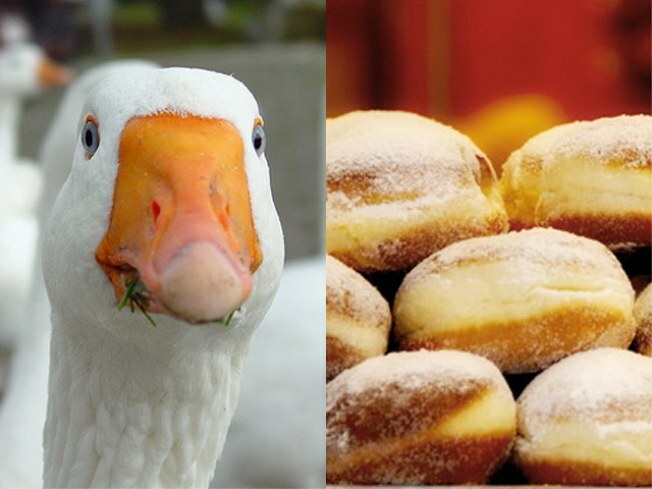 Foie gras-jelly doughnuts on the menu at the Beard House. “Top Chef” viewers will recognize Bryan and Michael Voltaggio as the brothers who spiked every dish with liberal doses of sibling rivalry. Now they come from their respective day jobs – Bryan, at Volt in Frederick, Md. and Michael at Pasadena, Calif.’s Langham Huntington Hotel Dining Room – to cook a lavish dinner at the James Beard House on March 9. And that dinner kicks off with foie gras-jelly doughnuts, which we’d submit as the official jumping of the shark on the high-low-contrast thing (right behind “porcini munchos” – do the Munchos™ people know about this?). Full menu below.